​IRVING – It has been a long time coming but the newest music/entertainment venue in North Texas—the Irving Music Factory in Las Colinas—finally has an opening date: September 1, 2017. 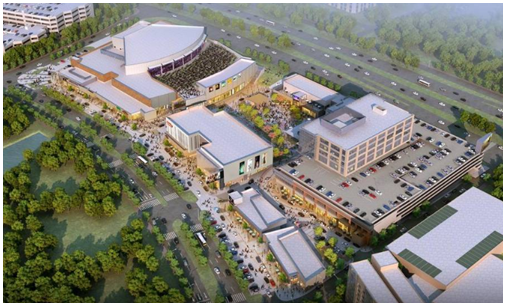 The 250,000-sf Irving Music Factory can be both an indoor and outdoor venue that can be reconfigured for 2,500, 4,000, and 8,000-capacity events. The concert hall is part of a larger entertainment complex that will also house an Alamo Drafthouse movie theater as well as multiple restaurants. ​Want more data? See DFW Market Overview Research.